Ifield eased through the first round of the Sussex Cricket League T20 Cup with a 24-run victory over Keymer & Hassocks. Batting first Ifield lost an early wicket when Matt Atkins holed out to long on for just 4 but Sam Dorrington and debutant Joe Cooke consolidated and kept the score moving along at a decent rate before Dorrington departed for a run-a-ball 15. New overseas arrival Guru Kedarnath joined Cooke and they kept up a strong scoring rate with some particularly energetic running between the wickets. It was something of a surprise when Cooke was caught when going well on 24. New skipper Jack Groves and Kedarnath kept the momentum going but when Groves departed with the score on 84 and Kedarnath then went for a well-made 35 the run-rate started dropping. 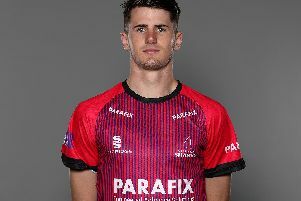 Keymer picked up the wickets of Jiga Parekh, Graeme Dean and Sachin Patel as Ifield pushed to finish strongly and the innings finished on 137 for 8 with Daniel Groves not out on 12. Keymer’s reply didn’t get off to a great start and an early run out of John Poole curtesy of Cooke/Dorrington was followed very next ball by Dorrington bowling Michael Poole to leave the visitors at 10 for 2. Dorrington struck again with the score on 36 when Isted nicked one to keeper Groves. Ifield turned to the new spin combination of Kedarnath and Parekh and together they seized control and Keymer found it difficult to keep up with the required run-rate and as wickets fell the writing was on the wall. Andy Westgate (28) and Lee Pittavino (23) top scored but Ifield were looking comfortable and with victory in sight skipper Groves was able to give a couple of young seamers Patel and Antonio Darrell some overs at the end. Ifield’s reward is a home match in the next round against Premier league Preston Nomads. Ifield completed a double on the day when their 2nd X1 beat Keymer and Hassock’s 2nd X1 by 8 runs in the SCL T20 2nd X1 competition. Star performer was Ifield debutant Zakir Siddiqui who picked up a remarkable 6 wickets (all bowled) for just 12 runs off 4 overs.